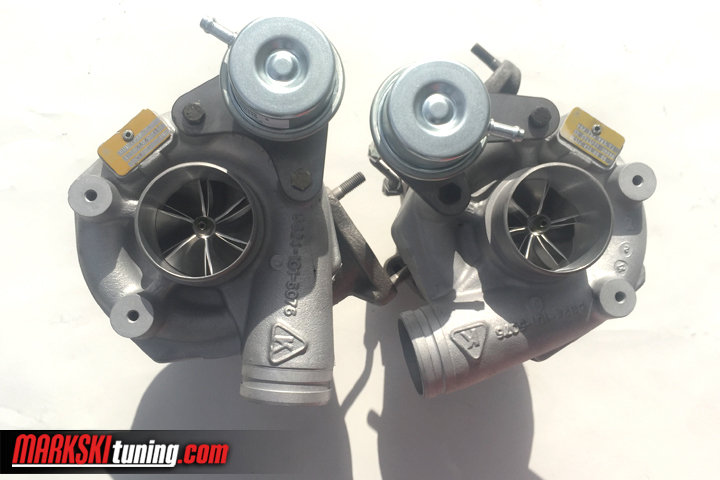 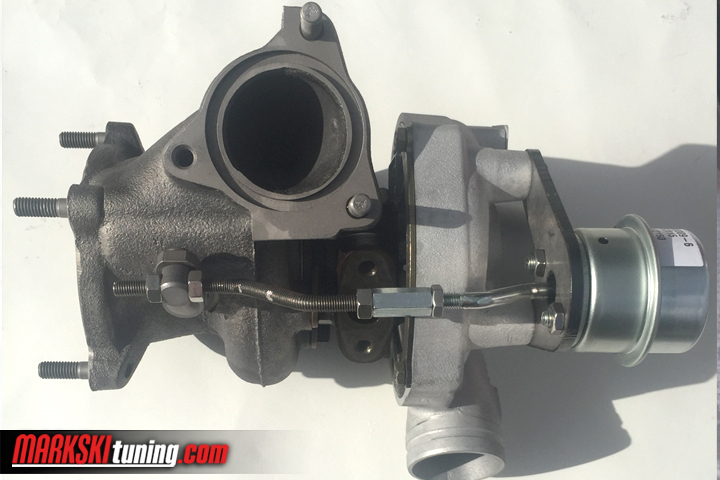 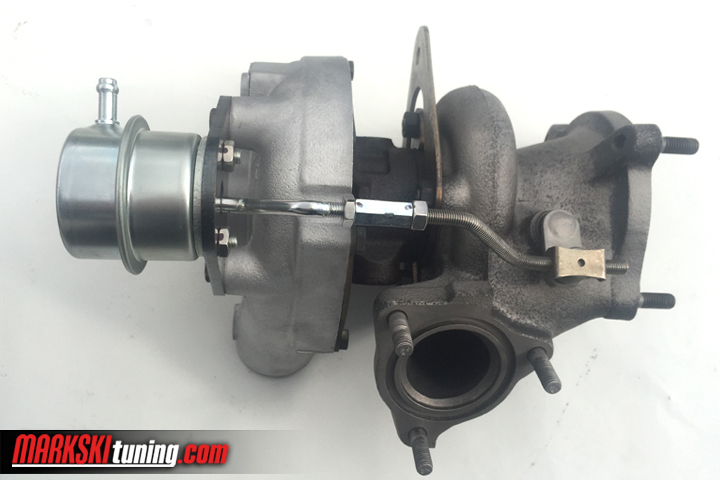 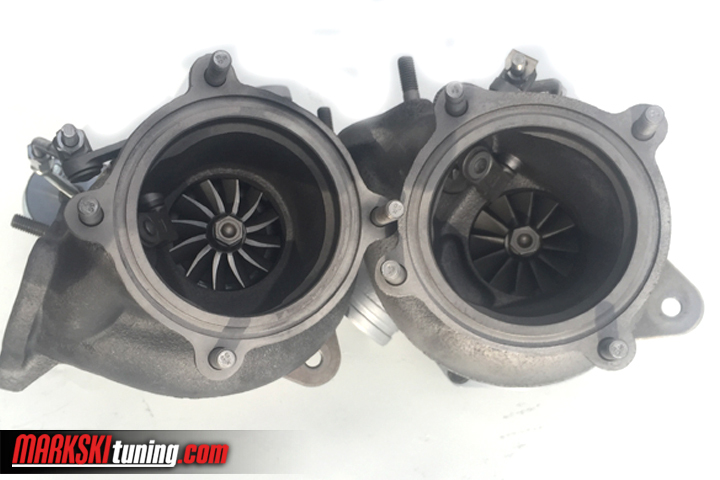 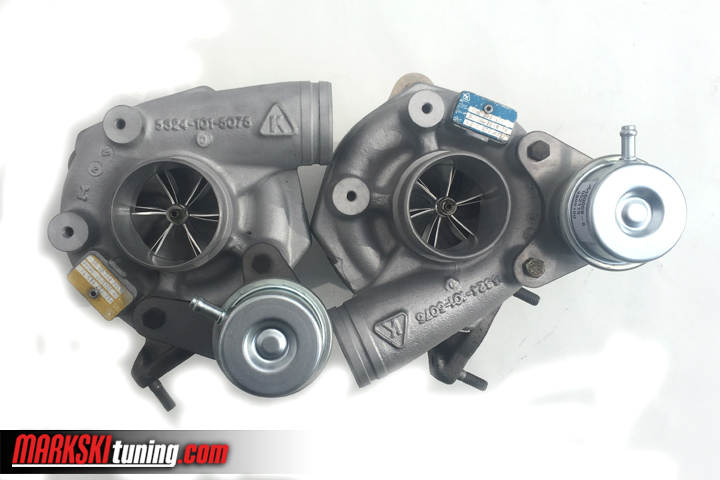 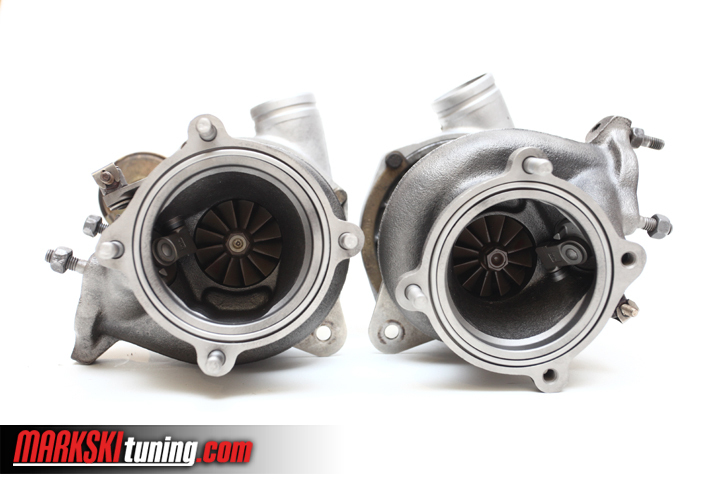 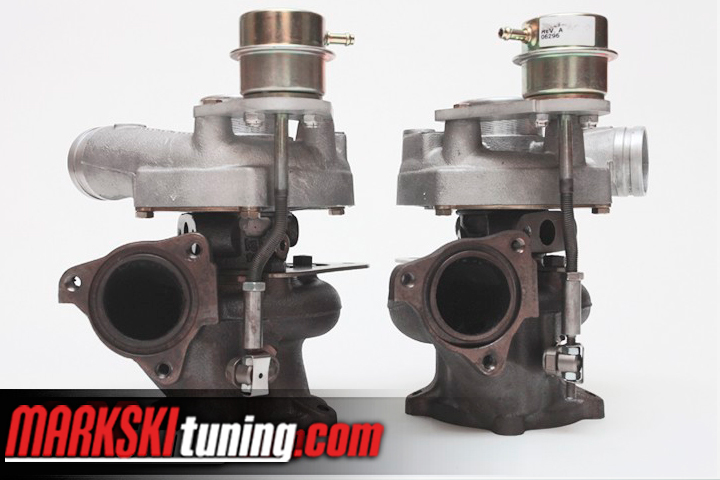 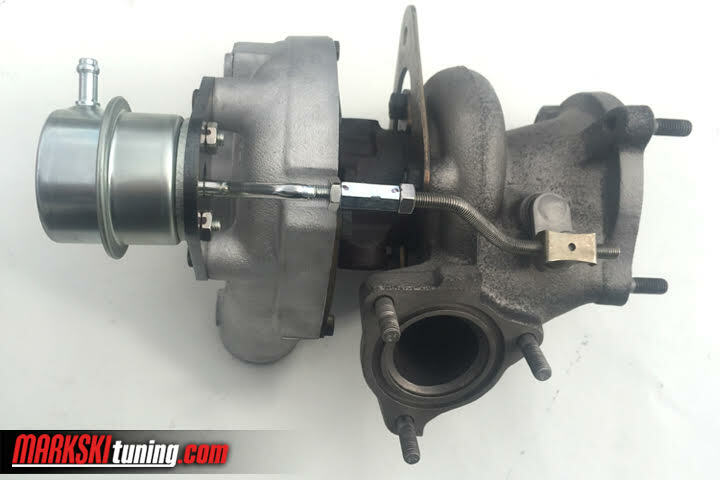 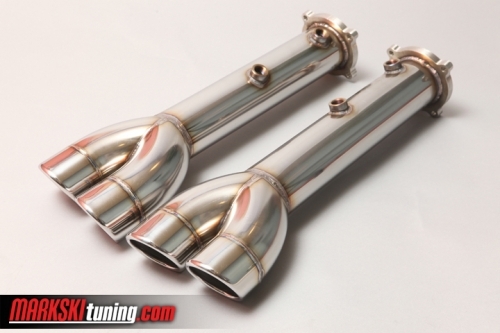 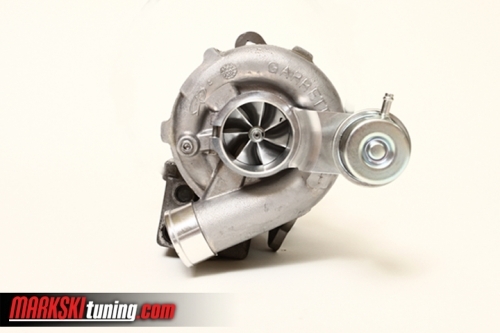 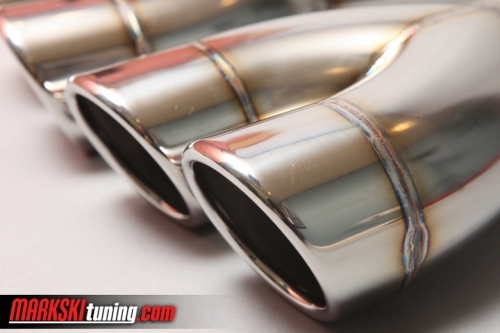 This is the next generation K24 based billet turbo upgrade. 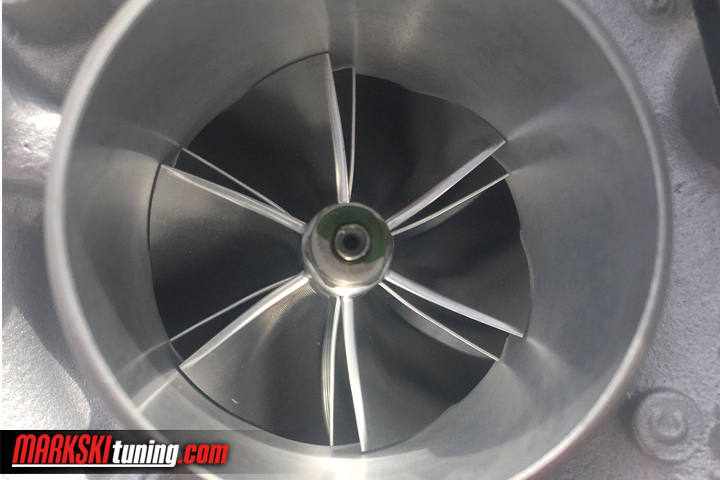 We use a light custom high efficiency quick spool billet 54mm/75mm wheel capable of 750hp. 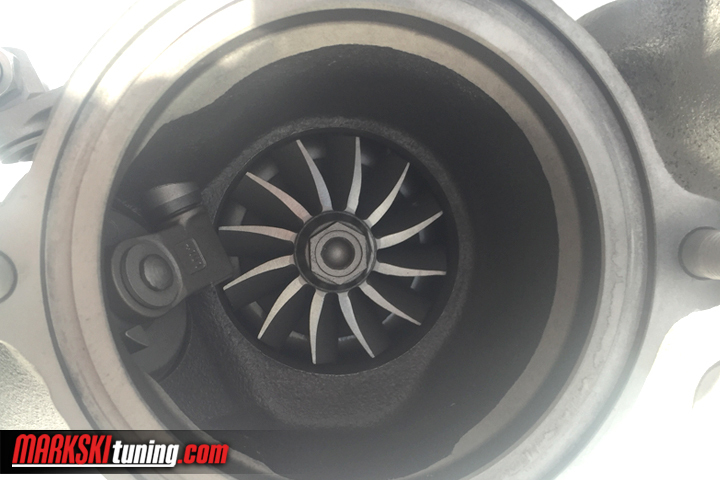 This is the biggest wheel available for the k24 based housing. 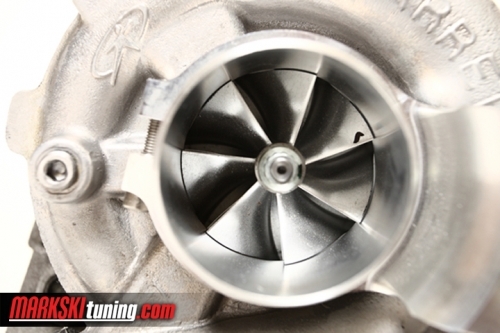 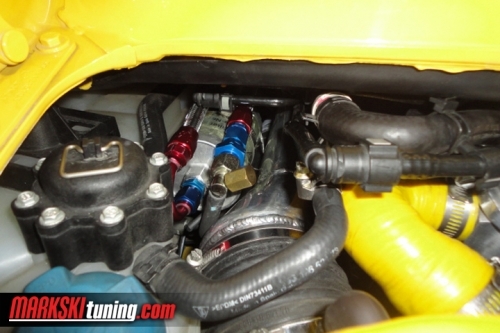 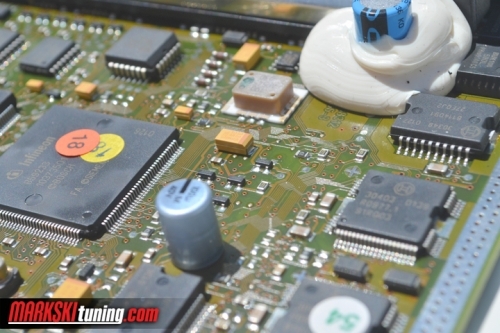 Bigger turbos require more cooling and flow well as more fuel. 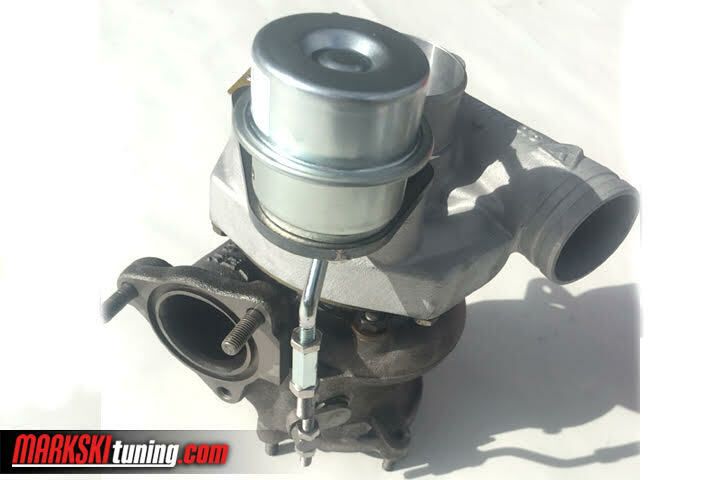 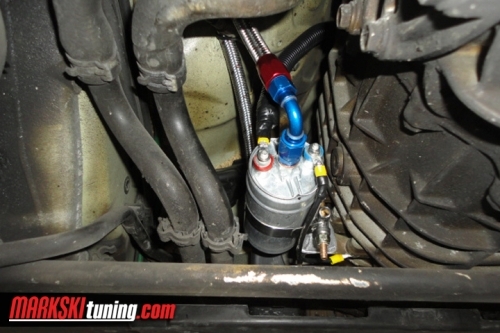 Injectors, 2nd fuel pump kit, along with our 4.5″ intercoolers is ideal for this direct replacement K24/Spec II 750 Hp set up. 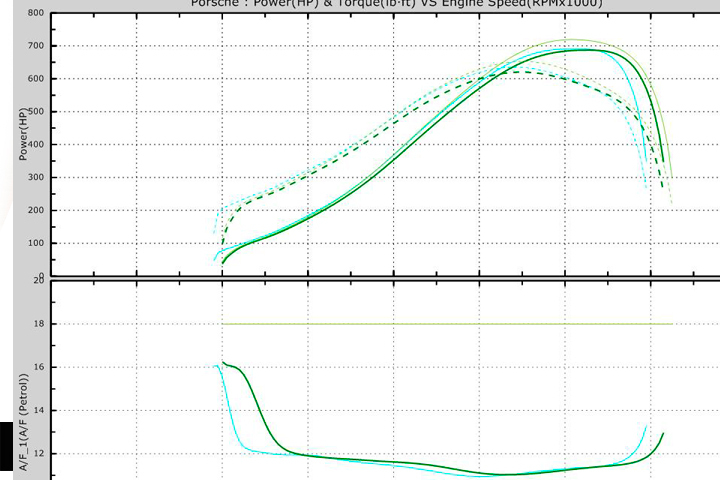 Good k24 cores required.